Last night, Kristen Wiig appeared on The Tonight Show Starring Jimmy Fallon to promote the release of Zoolander No. 2. 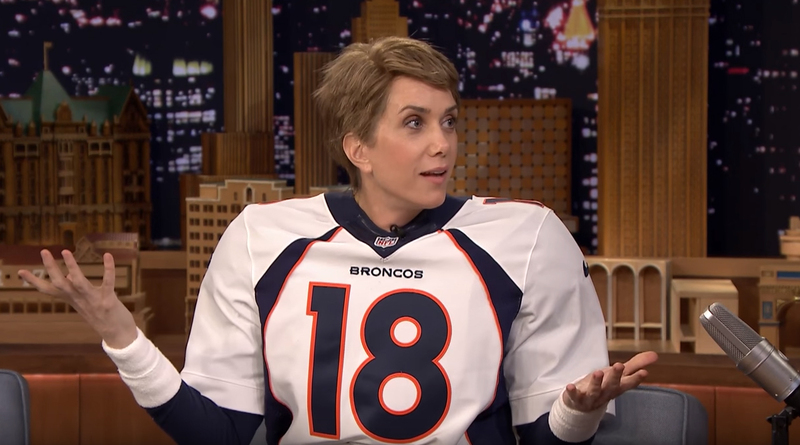 Once again she appeared not as herself, but this time as Denver Bronco’s quarterback Peyton Manning instead. It’s a hilarious interview, as always, as Kristen doesn’t have a clue about either Manning or his Super Bowl win. Watch the funny clip in our video archive.